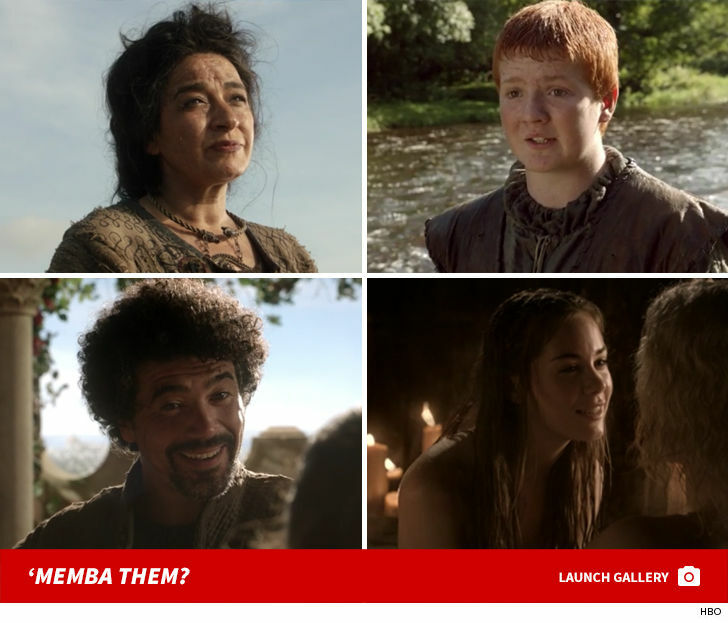 'Game Of Thrones' Cast — 'Memba Them?! Winter is finally here … get ready for the final season of “Game Of Thrones” by taking a trip across the Narrow Sea and down the King’s Road to a time when dragons were still just an old tale. Rule through this gallery to remember the characters we have lost such as Mycah, the butcher’s boy who was slain by The Hound, Mirri Maz Duur, the maegi who practiced dark magic against Khaleesi, and Syrio Forel, Arya‘s sword fighter teacher.